There are many good maintenance and coating systems available for BUR roofs that greatly extend their performance life. 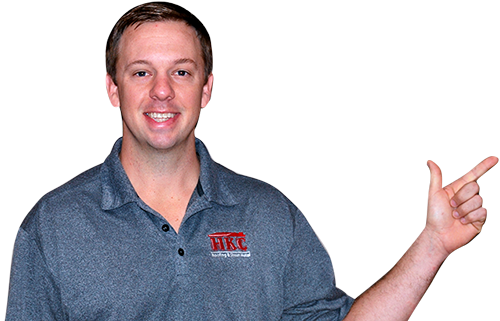 It’s important to consult a commercial roofing contractor that understands these systems and is educated on how to best make repairs. 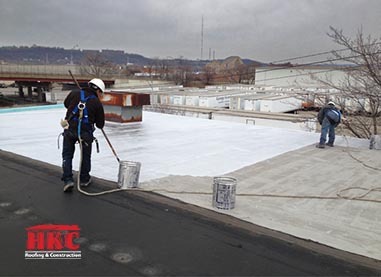 Contact HKC Roofing to evaluate your commercial roof in Cincinnati or Northern Kentucky. We have many repair and maintenance solutions that can extend the life of your BUR roof. BUR Roof systems are constructed using multiple layers of asphalt and glass fiber mat reinforced roofing felts that build-up a relatively thick overall membrane. The top of the BUR (built-up) roof is then flooded with asphalt and aggregate is broadcasted into the fluid aggregate. This process creates a protective top layer that provides outstanding durability and protection against UV. Another option is to apply a flood coat of asphalt and then roll a modified bitumen cap sheet over the top of the roof system. This also provides an extremely durable roof. When installed by a professional a BUR can be a very good option for your building.